Maily! e-mail that’s possible in early years. This year the national Anti-Bullying Week in the UK challenged teachers to bring an e-safety focus to their classroom. As an early years teacher, talking about safety online is quite tricky and modelling good practise online has always been my focus. My class regular experience positive uses of the internet and our Connected Classes are an important part of our classroom life. As a class we make FaceTime calls to other early years children around the world, we share books that we have written on the iPads with them and we often help each other out with answering questions about our localities. For Anti-Bullying Week though, I wanted to make these experiences more personal for the children. This is how I found Maily on the App Store. This is a free app and it is free to set up an account and to use the service. There are no adverts or in app purchases either. Maily is designed for the travelling or far reaching family though. It’s there for the kids to be able to send a special message to mum when she’s working away, or the grandparents that live in Spain. It’s perfect for early years though. Maily has very little reading involved, it’s all pictorial and within a couple of taps your children have opened their inbox, scrolled their contact lists to find a friend, wrote an e-mail and sent it. All within the app, inside one secure account. September and the start of school came and we all survived again. Settling in to routines, finding our feet in a new classroom and figuring out where to start building those blocks for this year’s learning. It’s an exciting time as the weeks unfold and we get to know our new class, finding out what they already know and what they need next. “I know another skill. You have to close the apps too so that it doesn’t waste the battery charge”. Yes that’s right! And this skill was even demonstrated correctly. I hadn’t come across this skill at the beginning of the year before! We always start the year with photography skills. It takes a long time, it’s a whole half term (and for some the whole year) but it is a skill which underpins the very basics of using an iPad to create authentic content. 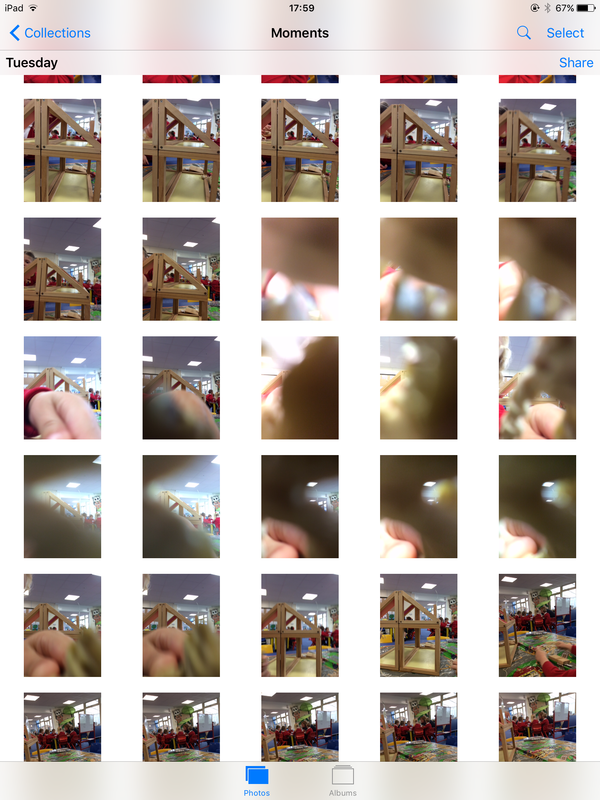 It’s a skill you return to every time you use an iPad to make a movie, book or presentation. An Outdoors Photography Project for Early Years: Taking Your “One Best Image”. 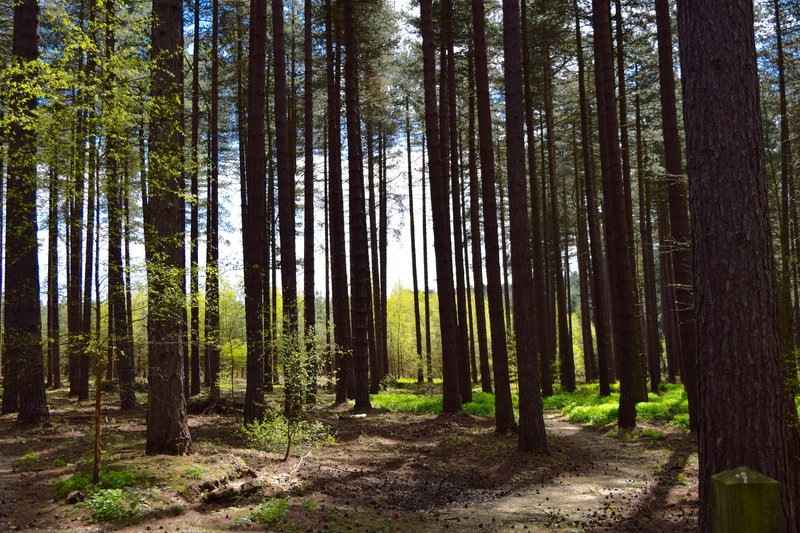 In the summer term we take our Foundation Unit to Sherwood Pines, a Forestry Commission park here in Nottinghamshire. As the name suggests, it’s a large woodland with tall pine trees and a great outdoor education team and facilities for all ages. During the day we did all of the outdoor education activities you could think of in a forest: mini beast hunts, woodland art (Andy Goldsworthy), story trails (The Gruffalo) and for the purpose of this blog post, photography. I have been reading Kristi Meeuwse’s blog, iTeachWithiPads, for a while now and a recent post of hers on Maths Journals stood out for me. I am always asked about maths apps for iPads, but I have never considered myself a maths expert. What I usually see are maths games being played on the iPad, which can engage certain leaners but the level of enhancement is not as great as what I have seen with literacy and authoring apps. The work Kristi’s kindergartener’s engage with on iPad is the best example of maths enhancement with technology that I have seen. 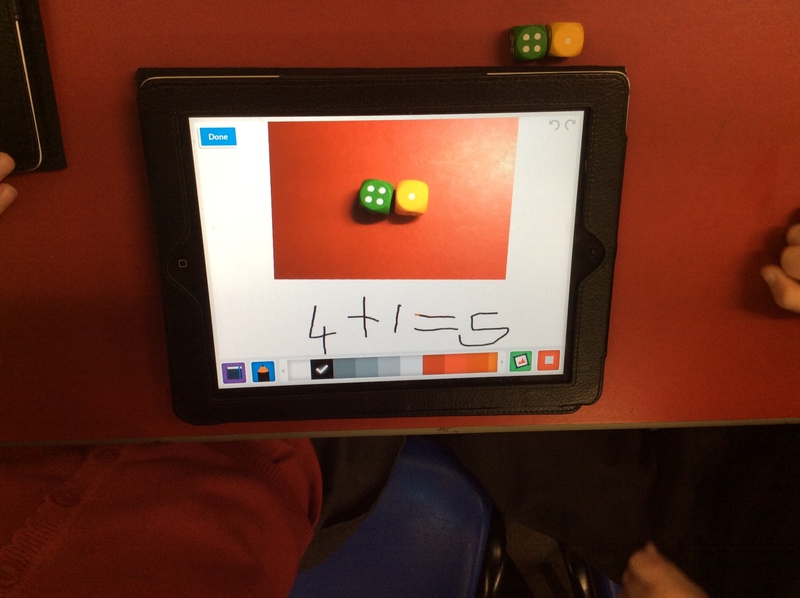 We use MyStory book creating app to photograph practical maths activities and record our maths understanding with marks or voice on the pages of the book. This means that the practical activity is captured, making the experience more meaningful rather than disposable play that is packed away at tidy up time. The child can reflect further on their learning by recording their mathematical understanding using the built-in microphone or with physical marks on the page. This year we want to develop our project and research skills with our children. We want to offer our children learning opportunities beyond what the curriculum suggests. We want to give them enrichment opportunities which promote a thirst for learning and a chance to find out more about something they are passionate about. Our second week using iPads in Foundation – Let’s be published authors! Creating content on our iPads is an important part of our new computing curriculum and it begins in the foundation stage. The app I introduced was My Story and the skill was to import photographs on to pages. Last week we worked on the basics on the iPads- switching them on/off, handling them safely, making videos and taking photographs. These basics are still being covered as part of our review each time we start working on the iPads. Our first week using iPads in Foundation – mastering the basics! I have had just over a week settling our new Foundation 2 children in to school. As well as the usual rules and routines of a new setting, I have introduced them to iPads and how they can be used at school. Some children are more confident than others, which challenges the perception that “the kids already know how to use them” and “they will end up teaching you to use them”. Some of the children didn’t know how to turn them on and off, and most children have had to learn new vocabulary involved with using the iPads (sleep/wake button, home button, home screen). This language was introduced as we were using the iPads, as well as correct ways to hold and carry them around school; “two hands, fingers on the back, thumbs on the front”. This summer at the Apple Distinguished Educator Institute in San Diego our theme for the week was ‘Life On Earth’. To kick start the week we had a fantastic keynote from famed biologist E.O. Wilson, author of the new Life on Earth multi-touch textbooks available for free from the iBook Store. This academic year is already shaping up to be a great one with many exciting projects planned for my class already. Some of these I have blogged about already but today I want to write about the iPad Networks for Nottinghamshire County Council (NCC) schools. During the Summer Term last year I began talks with consultants at NCC about the possibility of running a specific training program for schools in the district with iPads. I have worked closely with the ICT team over the last 2 years, delivering workshops, presentations and drop-in sessions around my use of iPad in school. This year I applied to attend the Apple Distinguished Educator Global Institute, held in San Diego. My application was successful and I joined 9 other UK Apple Distinguished Educators (ADEs) on a trip to America which would change my life. Not only would this be a week to meet ADEs from 31 countries, it would be a chance to become a learner again, change perspectives, develop new skills and collaborate on a projects for the next school year.